Rosemary Kneipp and Jean Michel Avril are delighted to welcome you to their abode. 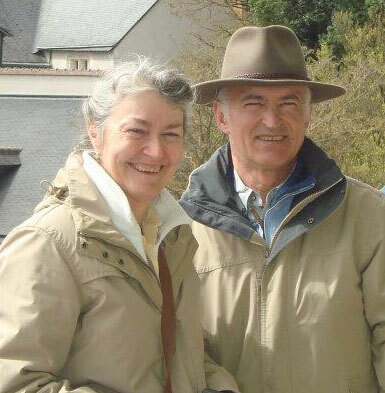 Rosemary is Australian and has been living the French dream since 1975 and Jean Michel was born and raised in the Loire Valley in an old windmill on top of a hill near Saumur. Our favourite pastimes are cycling, mushroom picking, walking, wine tasting, gardening and travelling. Rosemary blogs in English on www.aussieinfrance.com, sharing her experience of French life and extensive travelling throughout Europe. She shares a second photography blog with Jean Michel called www.loiredailyphoto.com.